Phil Everly passed away on January 3, 2014. He was 74 years old. With his brother Don, the Everly Brothers were one of the most important rock musicians of the past century. Their sweet harmonies paired with propulsive beats, heavily influenced the Beatles, the Beach Boys, the Byrds, Simon and Garfunkel, Linda Ronstadt, and countless generations of rock, folk and country singers. Consider this a footnote to my series: How I Married Karen. A few days ago I was watching a movie when suddenly, in the middle of a scene, Dusty Springfield’s “I Only Want To Be With You” kicked in over the soundtrack. So riveted was I by the tune and the memories it evoked that the dialogue simply vanished. I was thrown back to 1964, freshman year in high school, my schoolboy crush on Karen still a burning coal in my gut. I heard this song on the radio and it perfectly expressed the helpless and hopeless love I felt for a girl who didn’t even know I was alive. Now, married to that very girl, hearing it again, so many years later and so unexpectedly evokes feelings that I thought were lost. And of course, a Merry Christmas to our cherished Christian friends. 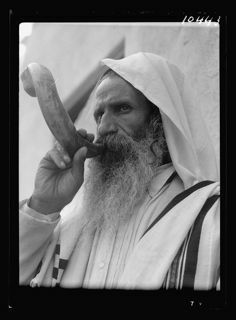 …In the seventh month, on the first of the month, there shall be a sabbath for you, a remembrance with shofar blasts, a holy convocation. Tonight begins Rosh Hashanah, the Jewish new year of 5772, a time of prayer, introspection, repentance, and the ushering in of the Ten Days of Awe that culminates with Yom Kippur. You might be interested to know that making new year’s resolutions finds its source in Jewish tradition where during this time of year we recognize our sins and shortcomings, ask forgiveness from man and G-d, and resolve to improve our behavior. In observance of this holiday, Seraphic Secret will be off-line until Monday. Here’s a lovely and lively Rosh Hashanah music video based on Shakira’s “Waka Waka” by The Ein Prat Fountainheads from the Ein Prat Academy, Israel. Karen and I wish all our friends and relatives a Shanah Tova U’mtukah, a good and sweet New Year. The proliferation of flash mobs and lip dubs has become something of a western ritual, a ritual that expresses joy in the public sphere. It’s important to understand that these highly choreographed dances are, first and foremost, expressions of freedom. And of course, these mini Busby Berkeley scenes come to us from Democratic societies where the balance of power rests not with the state but with a free citizenry. Countries where women enjoy equal rights. The very best videos come from America, Israel, and Canada. There are no flash mobs or lip dubs from Muslim states. These videos are a vital ingredient in the information war that is being waged between supporters of America and Israel and the Islamists and their leftist enablers. A few thousand intellectuals read the learned articles in The Weekly Standard and Commentary, but millions view flash mob and lip dub videos. Here’s a wonderful lip dub from Hebrew University in Jerusalem. H/T Sister-in-Law Rena B., who has an encyclopedic knowledge of this subject. Karen and I wish all our friends and relatives a happy New Year lovely and a joyous Shabbat. This coming Monday, at 4:10 CT I will be a guest on Dr. Gina Loudon’s radio program. We will be discussing the case of Harry Potter actress Afshan Azad, who is in hiding, under threat of an honor killing by her family. I wrote about it here.